Last month witnessed the launch of Creative Spark, a beautiful new online magazine (otherwise known as a glossi). 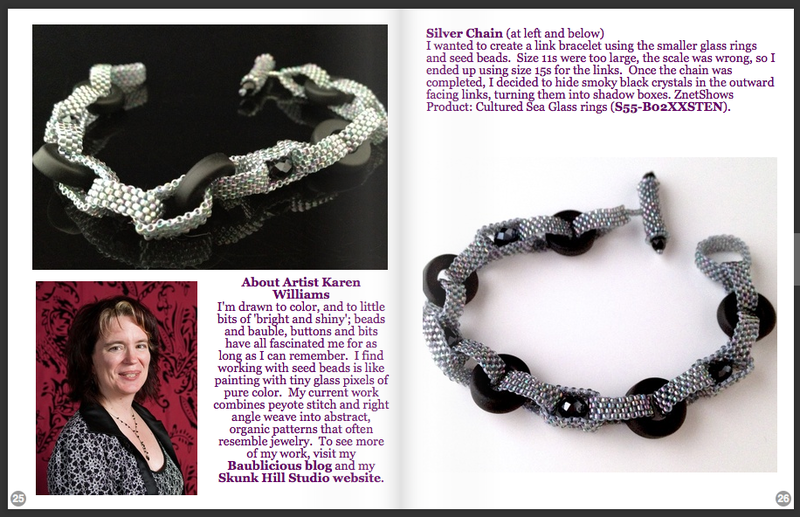 Designed and edited by Hope Smitherman and backed by Znet Shows, it features the works of thirteen designers and artists, including yours truly. 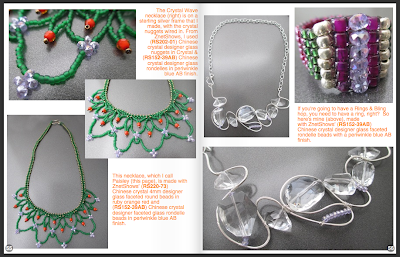 Talk about eye candy and inspiration! The work and photography in here is gorgeous. We were all challenged to respond to the theme "Rings and Bling" with a secondary inspiration of the changing of the season. It's fascinating to see the different interpretations. And it's official - I'm in love with those cultured sea glass loops! The glossi is extremely image heavy, to the point that I had some trouble loading it on my iPad - but it was definitely worth hauling out the laptop. So many wonderful ideas. 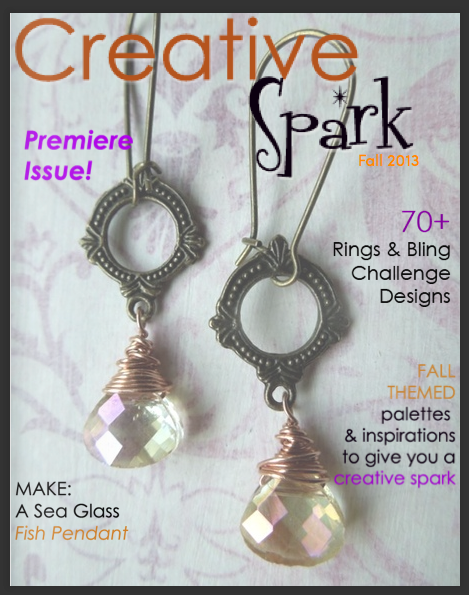 The next issue of Creative Spark is scheduled for Winter 2013/2014 and will focus on Pearls. Oh la la!